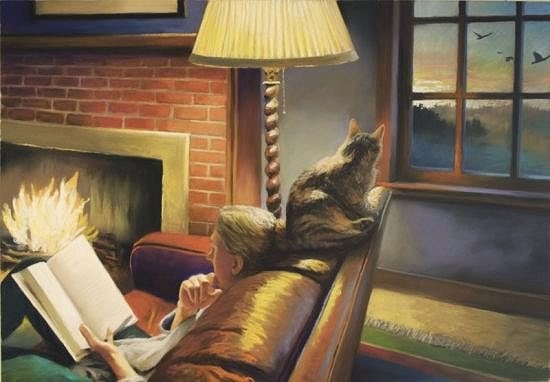 "Reading" by Deborah DeWit. Used with permission. I have a sofa that looks like the companion to that chair, Margot. I'm fairly certain it's as comfortable as mine! Is that a painting under the window?" I don't think it's a painting underneath the window, but I can't tell what it is. Does anyone out there have a clue?